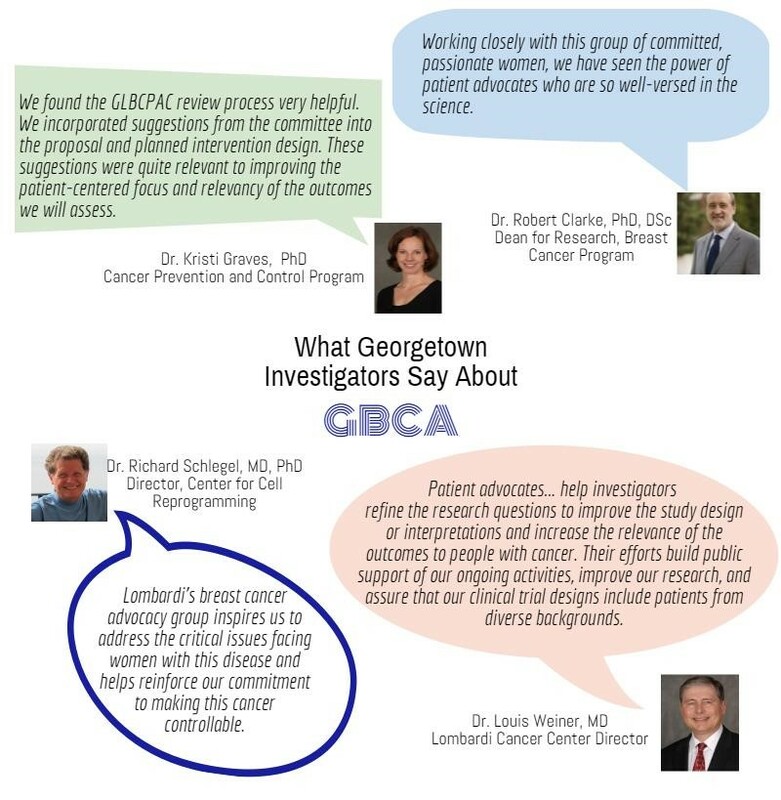 GBCA Members along with clinical oncologist mentors past and present, Dr. Minetta Liu, MD (far right) and Dr. Claudine Isaccs, MD (second from left). 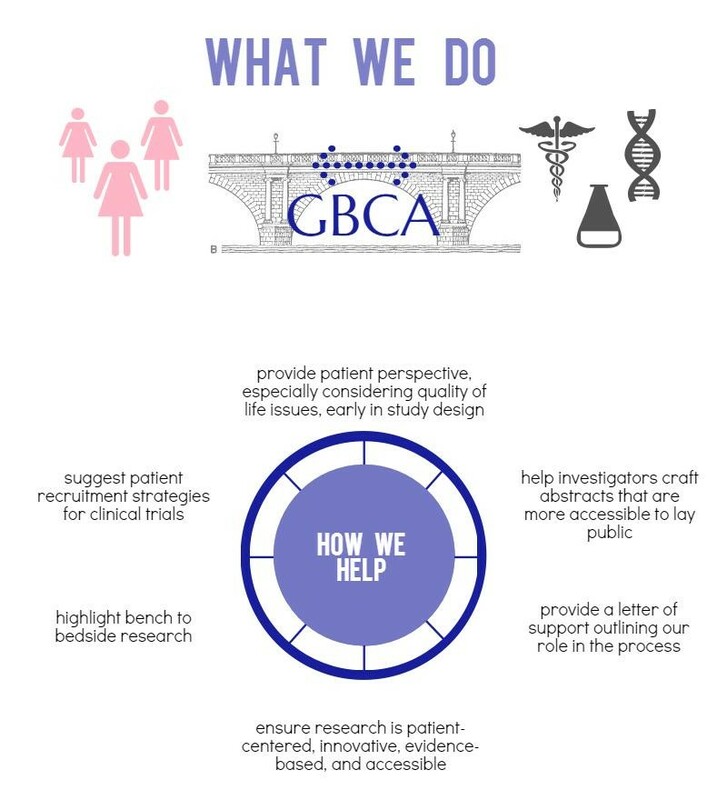 Five GBCA members attended SABCS this year. Shelley presented our poster on Friday night and she and Debbie were honored to be hosted by the Alamo Breast Cancer Foundation (ABCF) as a part of their advocacy scholarship program. Also, watch our very own Shelley and Debbie interview oncologists Dr. Debu Tripathy, MD and Dr. Virginia Kaklamani, MD as part of the ABCF Advocate Chat series!